Transitional NLP coach and Hypnotherapist in Hermosa Beach and LA area. Find an excellence within you. Unlock your full potential. Get rid of any limiting beliefs and old programing that stands between you and your goal. Live, Love and Thrive! Clients come to see me because they want to change something in their life. What they are really seeking is to change the way they create their problem, in their own map of the world; they never quite say it like that though. Clients are living in their "Story". While they are the central character in that story, they have problems, because they are creating the story Subconsciously. In most cases, clients use their conscious mind to wrestle the control over the problems without explicitly including the subconscious mind in the change. This is an error and in our session we discover the patterns that prevents client to reach their desired outcome. With special blend of NLP, Psycho-Cybernetics and other ground braking techniques, we correct the interaction and communication between both minds - Conscious and Subconscious. When we engage the Subconscious mind, both minds work together in harmony, the desired change comes and it will be lasting. Conscious mind will set the outcome but it is the Subconscious mind that will TRULY get you there! With these cutting edge "psychological technology", clients are on their way to greater happiness and well-being. 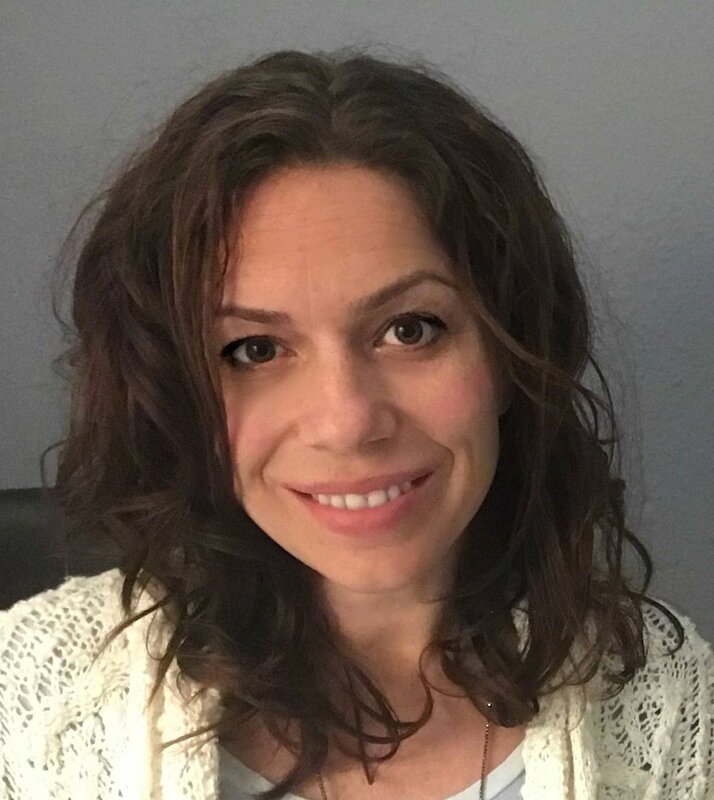 Adleta received her Master certifications in: NLP (Neuro -Linquistic Programming), Hypnotherapy, Time Line Therapy, EFT (Emotion Freedom Technique), Leadership, Transformational and Success Coaching and NLP Trainer’s Training and is recognized by International Board of Coaches and Practitioners. She is certified in Reiky and went through number of extensive Vipassana meditations retreats. Her long–time interest with Human Psychology, Quantum Mechanics, Psycho-Cybernetics, Self-improvement and a just way of life in general, has been her passion for years. As a way to fulfill her purpose of helping others to communicate effectively with themselves and others, be able to shift perspective and create a forward momentum to create change that is needed and to embody their infinite potential. Adleta is engaging with her local community by doing her monthly MeetUp workshops and is also offering a Free Clinic once a month to those who struggle to afford her in private sessions. Eliminate self sabotage and Your own limiting beliefs! YOU FIND YOURSELF LIVING in THE PAST. I’ve had the pleasure of working with Adleta for the past couple months. I came to Adleta at a very hard time in my life where it seemed like I didn’t have control over my own emotions, goals, and even my thoughts. The clarity that she had provided through Reiki, guided meditation, and NLP ( all separate appointments) saved my life. I know that sounds extreme, but thats what it was, if I didn’t get control over my life right away, I was going to continue living a life that ran in circles. I am SO HAPPY I SWITCHED TO ADLETA, I CANNOT STRESS THAT ENOUGH!!!!!! I saw results immediately after the first session. The way I looked at life was so bright and beautiful, the little things that used to bug me ( tiny little noises, tapping of the computer, Loud chewing..) GONE, they’re just background noises, when they used to sound like torture. The amounts of opportunities that have risen since I’ve been working with adleta, are phenomenal, She worked with me on rearranging my timeline, and what i want in life, As of now I am on the most amazing journey to my goals, and I’ve seen a huge difference in my energy, and motivation to get out there and work!! I feel like i am finally on the right path!! Thank you so much Adleta, can’t wait to see you again ! I am probably dealing with one of the most difficult issues of life, divorcing. Adleta, has been extremely helpful. What I most enjoy is when she comes back from a seminar/advanced classes and shares this new information and insight to help me work on my issues even deeper. Her help and insite has been worth her weight in gold for me. I went into this not really knowing what to expect. I have been to psychologists before and taken many courses, but it was really pleasant to have someone guide you on the deepest levels as well as the day to day aspects of career choices, what those choices mean, and getting to a place where my decisions resonate with my goals. Adleta was really great in being a non-bias 3rd party that could clearly map out personal patterns, my strengths, and opportunities. Ultimately, I felt that I had a new friend who was open to my past, non-judgmental, and really looking to better me as a person and reach my goals. I learned about the power of NLP and brain programming and how most of my negative habits were learned and just needed to be re-learned in a different way to move forward. I highly recommend working with Adleta to gain some perspective and create goals to achieve the next level, whether it’s a relationship or a new career path. New Options Academy is featured on the South Bay radio station, a place where positive people & radio unite.